In September, it is 4 years since we moved to our new location at 250-130 Broadway Blvd. 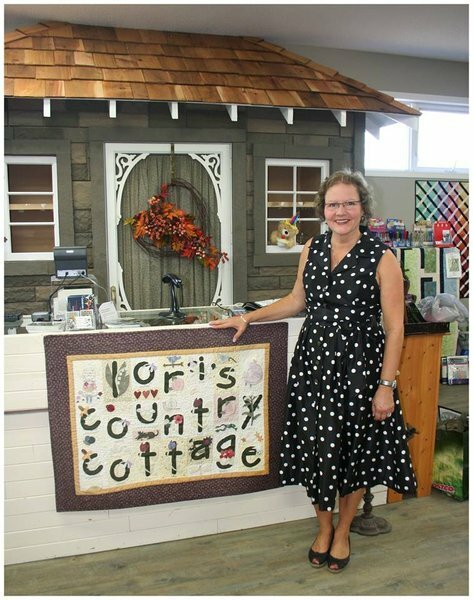 This move has made Lori's Country Cottage the largest designated quilt shop in Alberta. We're proud to have been recognized as one of Better Homes and Garden's Top Ten Quilt Shops being featured in the May 2012 publication of Quilt Sampler Magazine. We're committed to cultivating creativity with fabric and providing our customers with the industry's latest merchandise, trends, and technologies, to ensure that they have the products, services, and inspiration they need to indulge their passion for quilting and successfully finish their favorite projects. 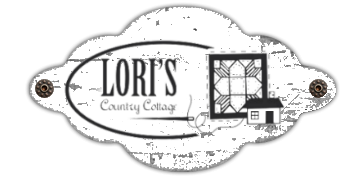 Lori's Country Cottage began in 1993 as a fabric store, featuring dressmaking fabrics and a handful of quilting fabrics and tools. In the process of setting up her business, a sales representative predicted that we'd evolve into a quilt shop before the year was up. He was right. After replacing the dress making fabric with quilting fabric and replenishing the product inventory, that's exactly what happened! Owner, Lori Bosecke, enjoys the entertainment part of the business, such as planning events that are educational, promotional, and fun. Her creative nature and innate ability to quickly solve project problems is much appreciated here at the store! She hosts special store events about every 6 weeks, including retreats and trips. Lori's Country Cottage also hosts a quilting cruise every two years, as well as a Spring ladies' trip to Lancaster County, Pennsylvania, to visit the Amish region (a similar trip is repeated in the Fall that is husband approved). Lori continues to increase her quilting knowledge and skills by attending Quilt Market each Fall and Spring so she can improve the store and share news of the latest industry trends, products, and technologies with our customers. Her interests include quilting, sewing, crafting, cooking, gardening, travelling, marketing, and entertaining, but her biggest passion is her family, including her husband, daughter, son-in-law, son, and two granddaughters.